oh, sweet joy! : saturday snapshot ((no link-up)) take 7! In college ((Texas A&M University -- WHOOP! )), I was in Phi Lamb...and this is my big sis, Amber. She's a baller. 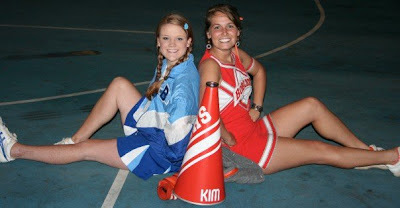 We rocked our old cheerleading uniforms for the High School Heroes Date Party. It cracks me up every time I see it that we posed like this...and that I brought my cheer stuff with me to college. Ummmm. Hahaha yeah I brought my lettermen's jacket to college. Ya. That never left my closet. you are a cute cheerleader girl! So fun! My bestie from HS went to A&M and I used to visit her there. fun times and good memories. ---WHOOP! I'm dropping by to "link up" for Saturday Snapshot. 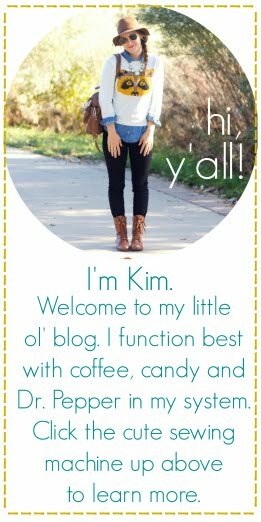 I saturday snapshot-ed with you anyway, link up party or no. :-) Its way more than one, but here you go.